Periodontics is that specialty of dentistry encompassing the prevention, diagnosis, and treatment of diseases of the supporting and surrounding tissues of the teeth -- and any substitutes. We work to maintain the health, function and esthetics of these structures and tissues. Scaling and root planing is one of the most effective ways to treat minor gum disease. We use an ultrasonic tool that is more comfortable than a traditional scraping tool and clean between the gums and down to the tooth root. If a tooth is damaged or decayed there may be no other solution but to extract it. We understand this is always disappointing, but we do our best to make this less upsetting. A local anesthetic numbs the area where the tooth will be removed, ensuring that you will not be in pain. When a tooth needs to be extracted or pulled, ridge preservation is recommended for temporary stabilization and preservation of the existing bone. If ridge preservation is not completed when the tooth is removed, future placement of dental implants or bridges can become more expensive, invasive, time-consuming, and uncomfortable. The surgery involves placement of graft material within the socket; this can be combined with either a membrane and/or an advanced or rotated flap. When a tooth is removed, an empty socket is left in the alveolar ridge bone. Usually this empty socket will heal on its own, but if it doesn’t, the previous height and width of the socket will continue to deteriorate. A ridge augmentation can help rebuild this bone to accommodate the implant. If you've lost bone in the upper back jaw area due to periodontal disease or tooth loss, you may be left without enough bone to place implants. Sinus augmentation surgery can help correct this by raising the sinus floor and developing bone for the placement of dental implants. A bone graft is necessary when there is not enough bone in the jaw to completely envelope the implant. At least 1 mm of bone is required around a dental implant. The bone is placed before the implant and can be from the patient’s own body, another organism, or synthetic material. Some people have pockets that just can’t be cleaned properly through the usual routine – they are simply too deep. A pocket depth reduction procedure consists of folding back the gum tissue, removing bacteria and then securing the tissue. On occasion the damaged bone has an irregular surface that we would need to smooth. Once this is done the gum tissue connects more strongly to the bone. The periodontist makes an incision in the gum where periodontal pockets have formed affecting the gum flap, exposing the tooth root and cleaning all infection out from the pocket. Bone regeneration procedures such as bone-grafting may be performed at this point. The periodontist then positions the gum to reduce the pocket and promote healing. The incision is sutured closed following the procedure. A frenectomy is simply the removal of a frenum – the muscular attachment between two tissues. There are two frena (plural of frenum) in the mouth that can sometimes obstruct normal tongue function. These frena connect the tongue to the floor of the mouth, and the inside of your upper lip to your gums just above your upper two front teeth. Sometimes not enough of the tooth sticks out above the gum to support a filling or crown. This can happen when a tooth breaks off at the gum or when a crown or filling falls out of a tooth and there is decay underneath. To place a filling or crown, your dentist needs to expose more of the tooth. This is done by removing some gum tissue or bone. Some people have a lot of gum tissue around their upper teeth. This also can be treated with crown lengthening. Gum disease comes in several forms but can lead to tooth loss. 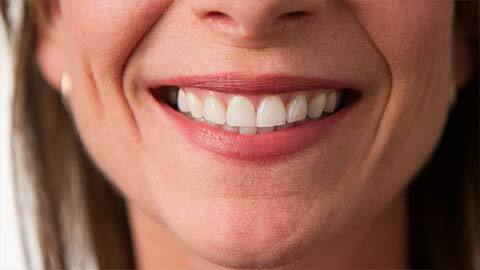 The mildest form is gingivitis, where the gums become red, swollen, and bleed easily. If untreated, inflammation can advance and become one of many forms of periodontitis, leading to possible tooth loss and some of the above treatments. Our periodontics practise focuses on the placement of dental implants and periodontal treatment. After your exam we will discuss the extent of your gum disease and the treatment options. If you need more information about Periodontics, contact us today.